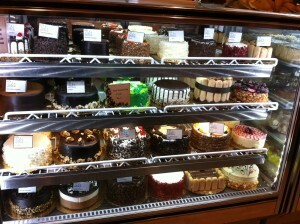 “Astoria is my second Alexandria” says Mohamed Khalil, the manager of Leli’s Bakery & Pastry Shop at 35-14 30th Avenue. Originally from Egypt, Mohamed has lived in Astoria for the past eleven years. Leli’s opened in November 2012. It was founded by Emanuel Darmanin, known as “Leli”. Darmanin owns Melita Bakery based in the Bronx which sells bread and deserts wholesale to restaurants and hotels throughout the city. He decided to branch out with his first storefront café, and settled on Astoria. Leli’s Bakery followed suit. At first, they would open at eight in the morning, and close at nine pm. Now they open at seven, and at weekends stay open until eleven. All of the food is made on site – the metal bread machines can be glimpsed through the back of the café. Then there are the sweets of course, of all shapes and sizes, from rainbow cookies to carrot cake. Birthday cakes form colorful lines behind the glass counter and baskets brimming with croissants and muffins surround the till. “To have a good product you have to do it from real ingredients”, says Mohamed. “You know, nothing fat free. That’s not what the boss is doing here. Even if he has some sort of recipe that’s for people who want low-fat foods…that will never happen because he mixes it his Maltese way.” Despite, that is, Darmanin being diabetic so unable to eat the delicacies his business creates. Mohamed got to know Darmanin because a friend of his, also Egyptian, is married to one of Darmanin’s daughters. “What I found out about any Maltese who I met here,” says Mohamed, “is that they have a background in baking.” Mohamed finds the Maltese language easy to understand because “it’s about sixty percent Arabic. They got the language from Libya…and the baking from Italy,” he says. Malta, a small island in the Mediterranean, is in-between the two. “Some people might like the feeling you get in a formal, expensive hotel,” says Mohamed. “That’s not what we are aiming for here.” No two chairs in Leli’s are the same, purposefully. While we spoke on a Sunday afternoon all the chairs were occupied, and customers were queuing up at the counter for goods. At the table next to us was Mohamed’s mother, over for a trip from Alexandria, knitting a child’s cardigan that she was hoping to complete by the end of the day. On the other side of us, a young couple focused on their i-pads. 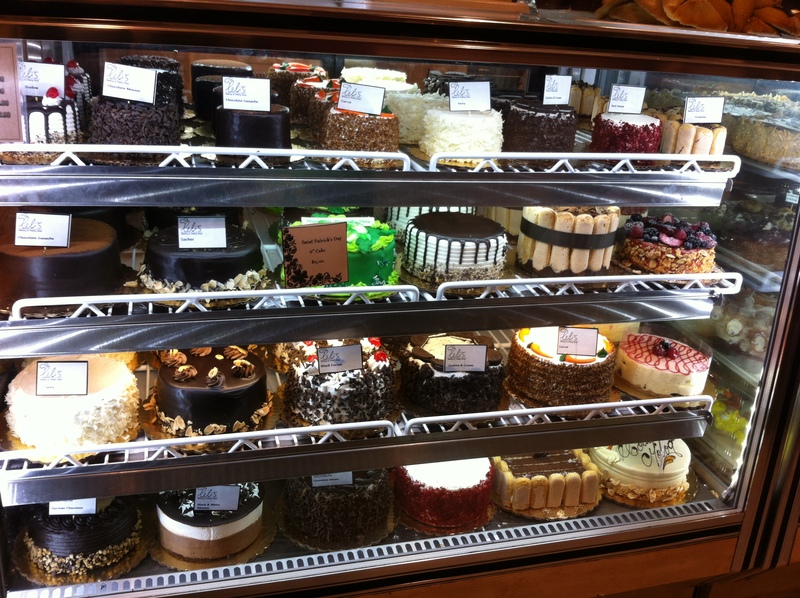 There is no shortage of other bakeries along 30th Avenue. You “have to do a bit extra”, says Mohamed, to keep customers coming. The full archive of 30th Ave interviews is here.